These will run again in December 2018. 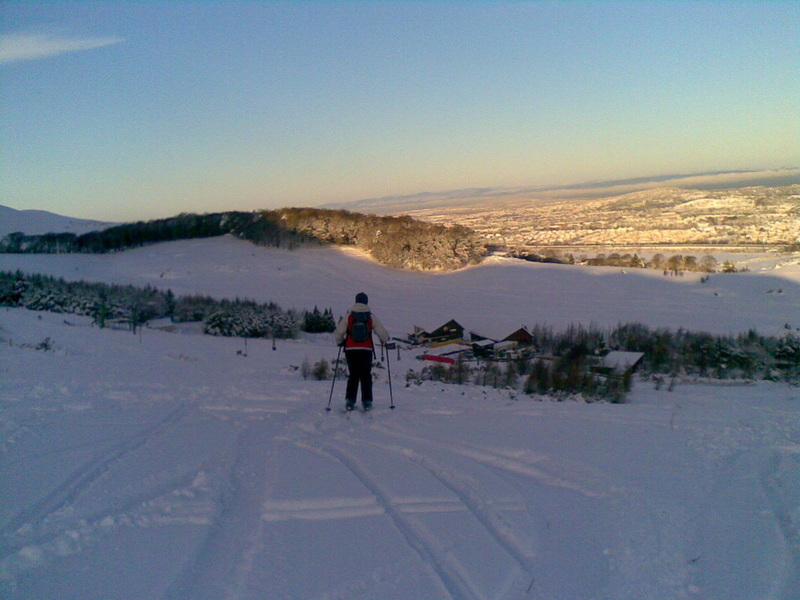 For the last five years the Club has been able to arrange high quality, daylong Alpine ski clinics on the artificial slope at Hillend with BASI Trainer Sharon Crossan. We are able to repeat this workshop this year. Conditions as in the photo above cannot be promised! Level: BASI Pre-instructors course. This is a level which you can't get normally at Hillend or in most ski schools at home or abroad. The way the course is delivered skiers of various standards can be taught together. Teaching method: The method is very dynamic. There is no standing around. You ski much more than in normal lessons and you get individual feedback. Cost: Around £70 for the lesson depending on group size including lift pass. Exact cost this time depends on any discounts Hillend may give and the size of the group. This is excellent value for money. By comparison a private lesson is £40 per hour and you wouldn't get a high level BASI Trainer. The hire of Alpine skis and boots is included in the price. The course is not specifically for telemarkers but such high quality Alpine lessons will improve any skier. Feedback from all years has been excellent with many who attended the first session repeating every year. If you are interested, please let Brent know by using the form below. First come first serve.